An experienced intellectual property advisor with over 20 years experience gained in local and international law firms as well as in-house. Especially interested in IP management (primarily brands), prosecution, commercialisation and enforcement in Africa but worked for a decade in London, focusing on Europe. Lead counsel for the BSA The Software Alliance in South Africa. An editorial board member of Oxford University Press: Journal of Intellectual Property Law & Practice. Blogmeister and founder of the Afro-IP weblog. He tweets from @DarrenTOlivier. 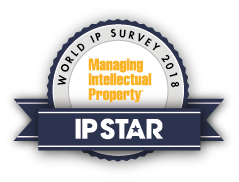 Recognised by Who’s Who Legal, Chambers Global, World Trademark 1000, Legal 500, South African Institute of IP Law, Managing Intellectual Property and IAM 300. Former Trustee of the CEO SleepOut Trust, a change agent in South Africa responsible for raising the most amount of money ever on a single night for good causes. The first African to be recognised in IAM’s Guide to the World’s leading IP Strategists. Chair of the firm’s IP Commercialisation team. Some of his more interesting cases include litigating the first keyword case in Africa, filing the first International Registration by a South African firm, assisting the Bavaria Babes during World Cup 2010 on ambush marketing claims brought by FIFA, advising the Zulu nation on rights management, setting up IP outsourcing models for global rebrands and most recently, assisting innovative content creator CliffCentral, and the Steve Biko Foundation.